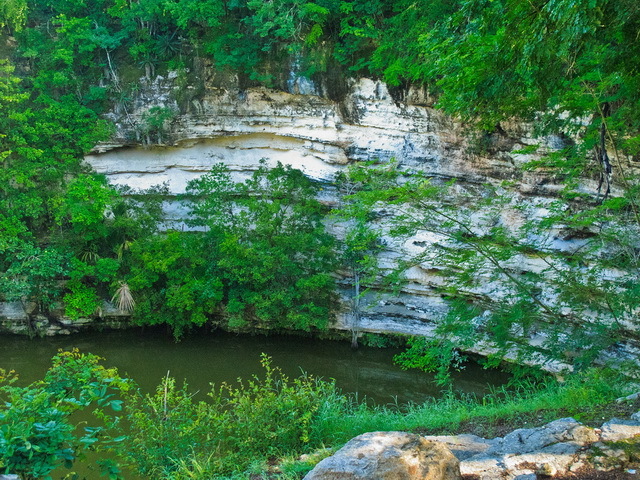 As its name suggest, Cenote Sagrado, also known locally as Chen Ku is a cenote found in the close proximity of the Chichen Itza archaeological site. Here, the Mayans paid tribute to Chac – the rain god who nourished the fields and sustained life – with ritual offerings and sacrificial victims. Although they believed the cenote took its victims directly to the underworld, the bones of over 50 warriors found buried in its bottom suggest otherwise. Historically many important dives were made in this cenote to study Mayan history. Even the famed Jacques Cousteau took a dive here. Today, no dives are possible without a special permit from the authorities and swimming in the cenote is also prohibited. Nonetheless diving here would be less interesting because the water has low visibility. 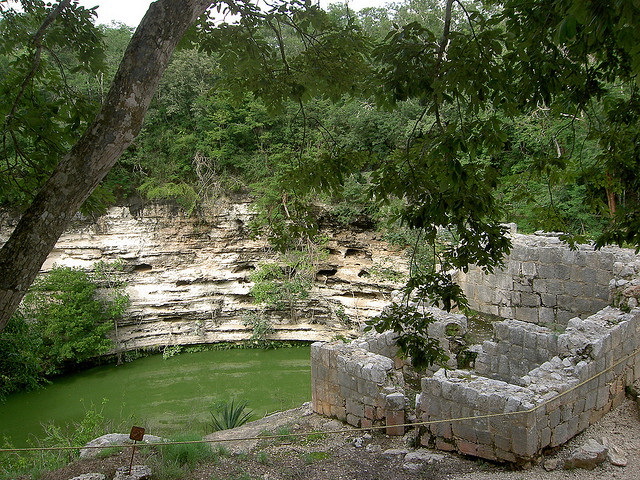 The cenote can be visited together with the ruins of Chichen Itza.